A big thank you to all the people that came out to the jam on Saturday. It was an amazing day and the level of support from local and out of town riders really made me appreciate what a thriving and diverse scene we have here in the NW. We had every kind of rider show up during the day. 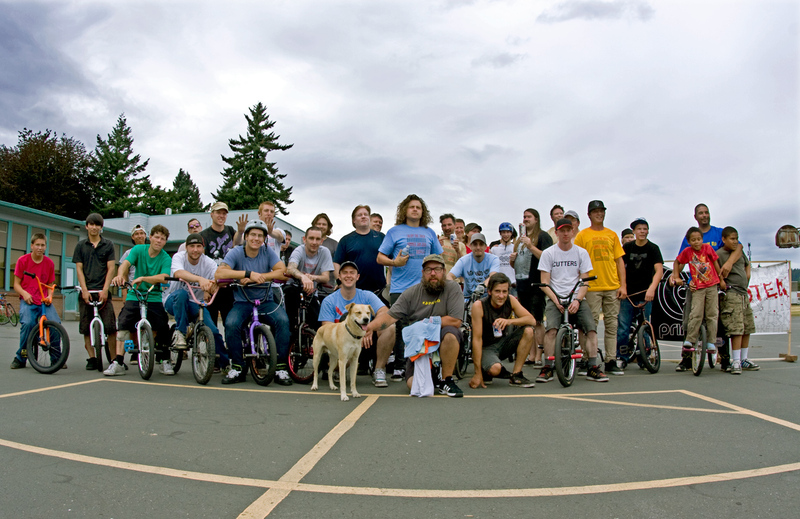 Flatlanders, street riders (lots of them), old schoolers and regular Portland cyclists wanting to see what NW freestyle is all about. Quite a few people made long trips just to be there. Thank you Rue (and family), Jeremy, Mark, Sonny, Cash and Chris for making the effort. Apologies if I missed anyone. Thank you to our sponsors adidas, Tips Plus, Primo, Lotek, FlatlandFuel, Brickhouse Bikes, Spry Bike Co and Goods BMX. We were able to hand out several prize packs and everyone who got one was stoked. Check back soon for more updates, videos, photos and a full write up. Photo by Mark Rainha. Thanks Mark. Finally a very big thank you to all the locals who put so much time and effort into this jam. You know who you are.